This 1-Light Pendant from the Cabernet Collection aims to please everyone, from the minimalist with its understated design, to the more extravagant tastes with exquisite concept and refined details. An elegant, white frosted shade and classic brushed nickel finish combine beautifully, making this pendant a functional, yet stylish focal point for any home. With its superb quality and affordable price this fixture is sure to offer a long-lasting beautiful decorative complement to your overall decor. The cornerstone of the satin Collection is quality, and this pendant is no exception. Combining a classic nickel finish and posh styling, you will find no better way to highlight the charm of your home. With the superb craftsmanship and affordable price this fixture is sure to tastefully indulge your extravagant side. 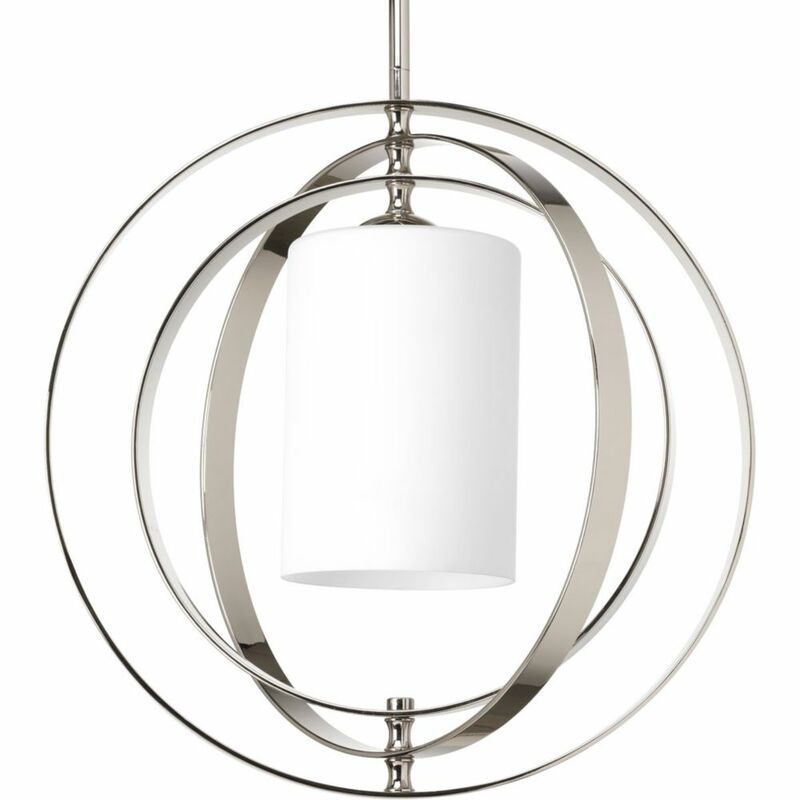 Equinox Collection 1-Light Polished Nickel Pendant is rated 4.0 out of 5 by 1. Can this fixture be converted to LED lighting? Thank you for your recent inquiry with The Home Depot. Yes, you can install CFL/LED lamps as long as the equivalent rating does not exceed the original maximum wattage. Please pay careful attention to the bulb manufacturer&rsquo;s warning/caution statements on the packaging or printed on the lamp. For example, many CFL&rsquo;s will indicate on the packaging that they cannot be used in an enclosed fixture or used with a dimmer. Thanks!